"Dragonfire and ruin, that is what you'll bring upon us." First off, apologies for my recent online absence. Life always gets a bit more hectic around the holidays and sadly I allowed my writing to fall by the wayside a bit over the last few weeks. As the last two months of my year draw near, I'm hoping to really kick things into high gear and bring you a lot more content, including two weeks of really crazy guest curation and a few more podcast recordings. I've even taken steps to get the show up on iTunes. It's like we're a real podcast! My younger brother Tim is in town for the holidays, on break from his senior year of college in Cleveland. He spent a few days hanging out at my place and watching movies with me, including Peter Jackson's latest sojourn into Middle Earth, The Hobbit: The Desolation Of Smaug. I thought it'd be fun to have Tim make a guest appearance on the podcast with me and Bart, but it turned out that Bart hadn't actually seen the first installment of The Hobbit. So we made a plan to watch the two films back to back last Saturday, exactly the way we used to approach Jackson's Lord Of The Rings movies. But while those past marathon viewings were always full of fun and excitement, six hours of The Hobbit felt like a prolonged chore. I certainly wouldn't call these bad films, if only because Middle Earth is a world in which I'm always happy to spend some time. But I would say that this new trilogy is tragically misguided, attempting to shoehorn a slight and fun story into the epic and serious mold of The Lord Of The Rings. It's such a shame, because I so want to like these films and they're well produced enough that I can almost convince myself that they're better than they actually are. The Hobbit was originally planned as two films instead of three and I think that would have been the stronger approach, forcing Jackson to keep the proceedings lean and nimble and leaving cool but inconsequential stuff (like the werebear and his cow ponies) on the cutting room floor. 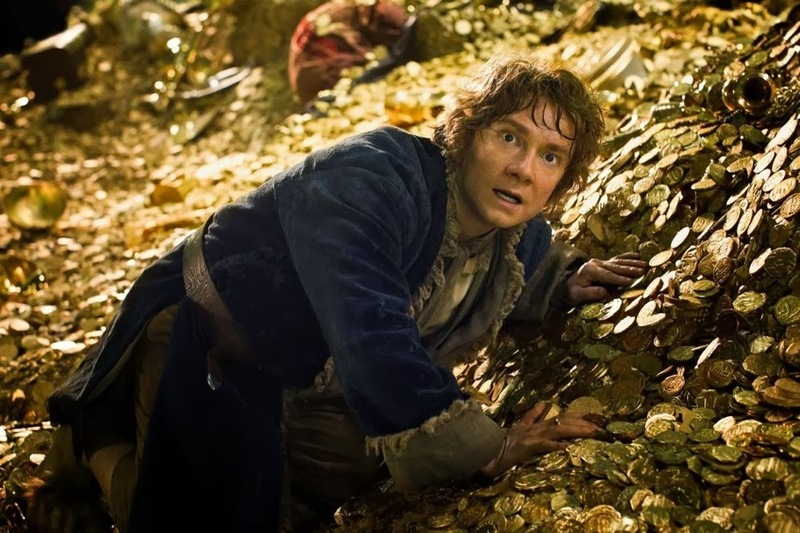 In fairness, The Desolation Of Smaug is certainly a step up from An Unexpected Journey, if only because it features lots of Bilbo being terribly clever and solving various puzzles (a big part of why I fell in love with the Bass/Rankin cartoon from the 70's) as well as a pretty sweet dragon and a lot of actual stuff happening, as opposed to the first film's endless walking and singing. But that doesn't excuse the fact that the film is at least 25 minutes too long, haphazardly edited and doesn't really end so much as it just stops playing. So here's episode four of the Daley Screening podcast, which also includes some discussion of Paul Rudd entering the Marvel Universe, Joaquin Phoenix being courted for Lex Luthor, and the trailer for Transcendence. Enjoy.